How do I set my Blogging Rates? Yesterday evening was particularly exciting for me as for the very first time, I was approached by a company and asked my blogging fees as the company would like me to blog for their site. This request couldn’t have come at a better time as whilst revising for my PR and Marketing and Consumer behaviour modules (for my CIM diploma), I can’t help but notice that a lot of emphasis is being put on Digital and Social Media. Furthermore, if super brands like Burberry, GAP and Estée Lauder, are anything to go by- its the way forward. So I’m more than happy to blog for as many brands as possible- only thing is I haven’t actually sat down to figure out my rates yet. After reading the request from the company, I went to my fairy godmother-Google– to see what she had to say about the matter, but after typing ‘How do I set my writing rates?‘ I was inundated with mostly irrelevant information. Reason being, whilst there is a lot of information on how to set writing rates for traditional media– newspapers, magazines and the like, there isn’t much information about how to set rates for new media, e.g. blogging and web content. There are so many questions I have for e.g.- is it better to charge by the hour, per word or per project? With the current financial climate and with so many bloggers at the ready, what is a good rate to charge? For now, I’ve decided to get the wheels turning by asking the few freelance writers/bloggers I know what and how much they charge and hopefully I will be able to work from there. This may seem obvious, but as a freelancer it’s always a good idea to use various social media tools like Facebook and Linkedin, to connect with people in your field- at times like these, they can really come in handy. Personally, what these facts tell me is that it is time for me to move shop to China and get a slice of the lucrative pie. I am not one for motivational speeches or bettering myself through the wise words of self-help books. In fact, the recent trend on Facebook to put up ‘go get ’em’ status update phrases like, ‘Life is a gift, never take it for granted’, makes me want to regurgitate. Repeatedly and Violently. In my opinion she seems to be saying, when you want something so much and you have done all you can to obtain it and it still evades you, surrender and let it go; for often, God can dream a bigger dream for you. When I listened to this clip for the first time, I tried to take in the words and felt I had to take in the words as they had sprung from the lips of the lady who is one of the richest, most successful and as a result, uncharacteristically; one of the most likeable and admired person on the planet. Consequently, I felt that anything she had to say which could help me in my career, where try as I might- I have not got to where I want to be. However, I wasn’t sure that I could abide by her words and ‘surrender‘ and let my main ambition go. Even though I could find similarities in how our all-consuming passions for our respective desires had led us to do anything we could to express that feeling; for instance Oprah decided to go against her father’s wishes and took a leap of faith and auditioned for a role in, ‘The Colour Purple’; and I went against my father’s wishes and gave up law (and turned down a full-time legal job) and decided to embark on a career in the fashion industry. Despite these similarities and upon coming to the same end, i.e. not getting what we ultimately wanted, I couldn’t and still can’t sing the ‘I Surrender’ hymn. Recently, I was sent a clip which featured the late Steve Jobs, and I found myself drawn much more to the motivational words he had to say to the graduates of Stanford University. Whereas, Oprah Winfrey seems to say that when one fails repeatedly to get what they truly want, they should let go and surrender to a higher power. Steve Jobs seems to be saying that life is too short ‘to let go’ of what you truly want. He insists that ‘believing that the dots will connect down the road will give you the confidence to follow your heart even when it leads you off the well-worn path and that will make all the difference’. That belief is what has continuously pushed me in my quest to get where I need to be in my career and what ultimately took me from the financial security of a legal profession to the unpredictable world of fashion. Furthermore, my quest to (in Steve Job’s words) ‘keep looking’ and ‘not settle’ made me move from one of the fashion capital’s of the world-London to one of the most well-known creative hubs in the world- Berlin. On a side note, watching both clips from beginning to end makes me cry unfailingly- I guess I am a sucker for motivational words after all. Watch out Facebook, my inspirational ‘Status Update’ is coming soon. On Friday 19th August 2011, I was invited to see the work of six emerging designers showcase their collections at 1 Rivington Place, London, EC2A 3BA. As much as I love seeing the new work of designers, learning about the new talents coming out of London, I am always a bit wary of emerging designer fashion shows. Reason being, I often see important mistakes that affect the overall lasting impression of the show or mistakes that harm the designer’s collection. I understand that with an emerging fashion show, this one included, that it is the designers that contribute toward the budget and funding of the show. And as well as dealing with their individual collections, they have to be heavily involved with other factors of the show which include- invitations, press, models and so on. But the thing is, when press are watching a show or looking at an image from a catwalk show- more often than not, they don’t have all this background prep information so they can sympathise with the designers and more importantly the fashion industry is hardly known for its compassionate and forgiving nature. 1. Having arrived as Press, in the seating arrangements of the show, I did not see any clear indication for Press to sit. This is an important mistake because in fashion shows, press are supposed to have seats that can give them the best visual access to the show, as they are the ones responsible for writing and promoting the show afterwards. To do that, we need to be able to see the intrinsic details of the collection. 2. There were no press packs on the seats at the start of the show to give an indication of the order of the show, the designers collections and so on. Press packs were given at the end of the show, but again, it was a bit of a mission for me to get them as I had to do a lot of asking and running around. Many fashion editors and fashion journalists would not do this. Furthermore, upon receiving the Press booklet which gave details about each of the designer’s collections, I discovered that the collection details of one of the designers was missing. The Press bag did have that designer’s card, but this meant that Press had to do more work to get the collection details of the omitted designer. 3. As the Labels show did not have press packs at the start of the show, a guest speaker led the audience through each the collections. At this point, I have to say that fashion shows should really stay away from guest speakers/wannabe comedians at fashion shows. And if you absolutely must get one, get one that is educated. I couldn’t believe it when this particular guest speaker was introducing a designer’s collection, and after stumbling and bumbling the words uttered, ‘there are words here I can’t pronounce’. Or when he said, ‘the toilets are…actually, I don’t know but I’m sure you will find them!’ With an emerging designer show there is extra onus to prove yourself and to present a particular high quality (which you want to be associated with your brand) and professionalism in every aspect of the show from start to finish. I was particularly irritated that the guest speaker could not describe the designer’s collection in a fluent and coherent manner because with no press packs given at the beginning of the show, there was extra onus on the guest speaker to educate guests (and press particularly) on the background, inspirations and fabrics in each collection. 4. Models are often the bane of an editorial fashion shoot and fashion show, especially when there is no models budget as such. Having said that, models can break or make a fashion show or shoot. The sad truth is, when it comes to a fashion show, no matter how great the hair, makeup, and the pieces the model is wearing are. If he/she cannot walk properly, is too short or has picked up cliché catwalk bad habits like – excessive jiggling, exaggerated posing at the end of the catwalk run, putting their hands perpetually on their waists-this can cause problems because it can be hard to get a picture that can be sent to established blogs and magazines. Also whilst watching the show, these defects harm the overall impression of each ensemble the model wears, and as a result the designer’s collection is not seeing in its best possible light. Overall I have to say that The Labels fashion show and everyone who took part in it are to be highly commended for the efforts they put into the show. Throughout the event, I was torn between judging it as press and judging it as a guest/spectator. As the latter, I liked the innovative venue that was chosen, the idea of having a summer barbecue afterwards, the great tunes the DJ spun after the show and the fun people I met that night. But as Press, I feel that the above negative observations I wrote about, have to be mentioned because partying and eating aside, having asked one of the designers why she chose to take part in the Labels show she mentioned that it was to, ‘establish her brand and build her client base’. 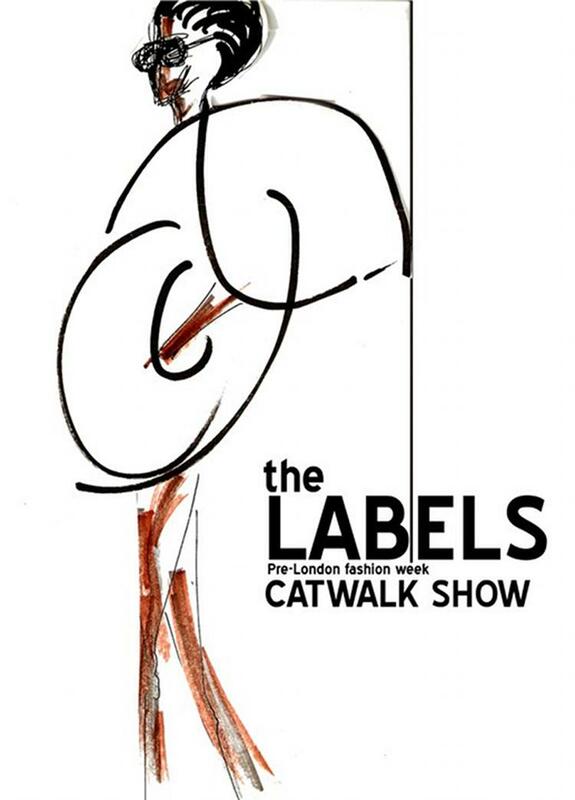 At the end of the day, the Labels fashion show was a business venture, so I hope that the organisers take my observations on board, as the better and more professional a show, the more likely its designers are likely to be promoted, creating a higher possibility of recognition and sales. I always seem to stumble upon articles that give job tips where the focus is on helping the interviewee, so I’ve read articles titled- ‘How to conduct the best job interview and ‘How to impress an employer’, but as I left an interview last week, I got to thinking that there are some things an interviewer should never do during an interview. After allthe interview process is a two-way street; just as the interviewee is trying to leave a favourable impression and prove that they are worth hiring, the interviewer should make an effort to make the job and the company attractive to the interviewee. When I sat down for my interview, my two interviewers already had a jug of water and two full glasses in front of them. Fast forward ten minutes and I still hadn’t been offered so much as a teaspoon of water. I watched them take long sips of water whilst they asked me questions like, ‘tell us about your story so far.’ As I am not an infant, there was a work history to be told, but how could I tell it when my mouth was so dry it was spitting cotton? At that point, I politely asked if I could have some water. However, it should not have had to come to that. Maybe in corporate interviews such tactics are used to see if the interviewee can be ‘broken down’ or to measure their ‘stones’, but this was a relaxed creative interview…or so I thought. The interviewers then asked to see my portfolio. Now I know that a portfolio sells itself and doesn’t need to be boosted by commentary and quips but as I was there in person, I didn’t think it would hurt if I told the background story of some of my editorials, especially as those stories clearly state my skills and ability to do the job. After all, when I am doing a model casting, what really makes a model stand out for me are the ones who show their personalities by pointing out certain interesting facts about their editorials. In my interview, I was not to be so lucky, as I was telling the story of a particular editorial, the interviewer would flick past it. I got so frustrated that at one point, I held the portfolio page down so that she wasn’t able to zoom past it, road runner style. I had a relevant story to tell, and it was going to be told. Luckily, I can count on one hand the amount of times I’ve been asked this mood-killer question at an interview. Metaphorically speaking, it always sends me flying and crashing into the wall behind me, jarring my spleen. Now behind the two interviewers were three employees (or so I thought), so when I asked the interviewers how big their team was, I pointed to the three ’employees’ and asked if they were all part of the team. The chilling response I got was, ‘No, they are all interns’. So let me get this straight- the company is in its second year and was started by two of you and now the only extra people you have ’employed’ are the ‘ever disposable, don’t have to pay, plenty more from whence they came interns’. If it looks like slave labour, quacks like slave labour, its…. I still haven’t heard from the company regarding whether I got the position or not, and with all the time that has passed, I am thinking that I won’t have the pleasure of being their fourth work-donkey, I mean slave, I mean intern, no I meant slave. Normally, after an interview, I write to my interviewer expressing my thanks for the interview, re-iterating my skills and so on, but this time around I will be doing no such thing. As I said at the beginning of this article, interviews are a two-way street and this particular company did not sell themselves to me in any particular way. And after the water episode, why would I want to work for a company where employees, I mean interns, I mean slaves are probably told to ‘BYOTR’- ‘Bring your own toilet roll’. What have been your worst interview moments?